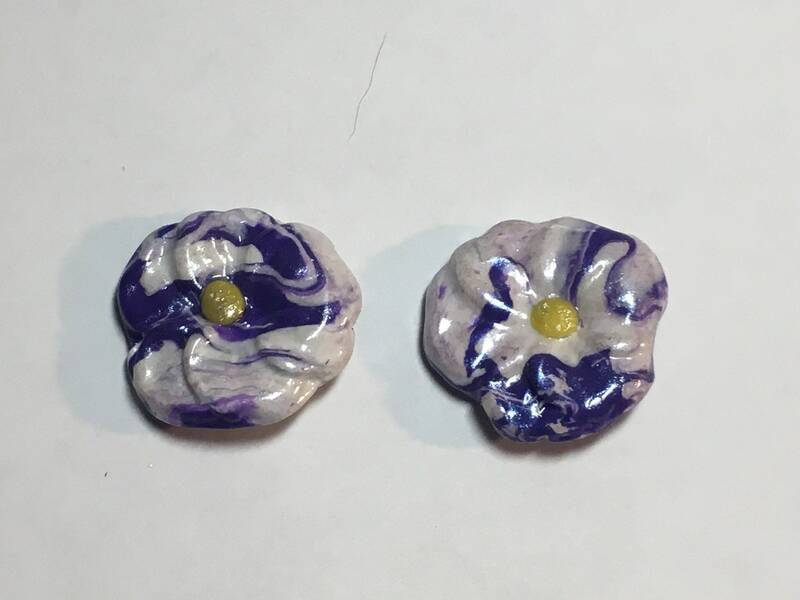 Wear springtime with these cute purple/white pansies on your ears! Approximately 1&1/2 inches in width on goldstone post. 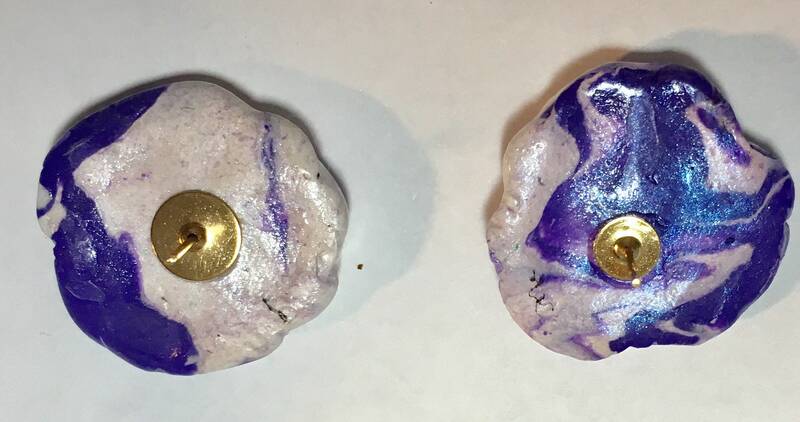 Polymer clay glazed to a lovely shine.